Pearls of deliciousness. Photo courtesy A Restaurant. ‘Tis the season for all good things, including parties, indulgences and feeding those less fortunate. If you are seeking our traditional Thanksgiving roundup, keep your eyes peeled for another post very soon. Giving thanks. Photo courtesy Jason Mercado. On Sunday the 18th, Sweet Mission Cookie Company’s founder will be caring for the community a few days ahead of the holiday. Clothing giveaways, activities for kids and a complete Thanksgiving meal will be accessible to those less fortunate at no cost. Visit First Presbyterian Church at 600 N. Main St. between the hours of noon and 4 p.m. for vocal stylings from Cosmic Reaction and The Dream Act Band while you dine. 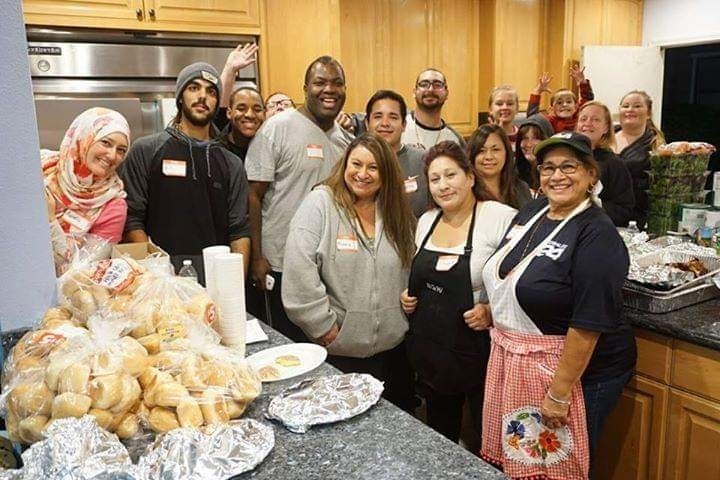 This meal is brought to the masses not only by Sweet Mission and First Presbyterian, but Amavi Properties, Savers, Stranger Prints, Applied Medical, Do for the World and additional supporters. Spread the word! Fight for your right to dessert. Photo courtesy Blackmarket Bakery. Mega Sweet Rolls, wedges of Shortbread Pumpkin “Pie” , 8-inch Black Widow Tarts and Classic Pumpkin Cheesecake are all available for your next major get-together. To order with time to spare, the last day to submit requests is Friday the 16th, with latest pick-up between 8 a.m. and 4 p.m. next Wednesday, the 22nd. We suggest the Flourless Collection, featuring Coconut Haystacks, Mudslides and Flourless Almond Brownie Bites (feeds 8). Call, visit or go online at least four days in advance at www.blackmarketbakery.com/holiday-gifts. Gingerbread At-Ats not included. O Christmas tree. Photo courtesy Pacific Dream Photography. A perfect pairing of events will take place at the Ritz-Carlton resort this Sunday. Before 4 p.m., check out a labor-intensive display of gingerbread in the lobby. Measuring 24 feet by 9 feet, it’ll depict holidays celebrated around the world. A time-lapsed video will also show how the team led by Executive Pastry Chef Sylvain Haage achieved this feat. 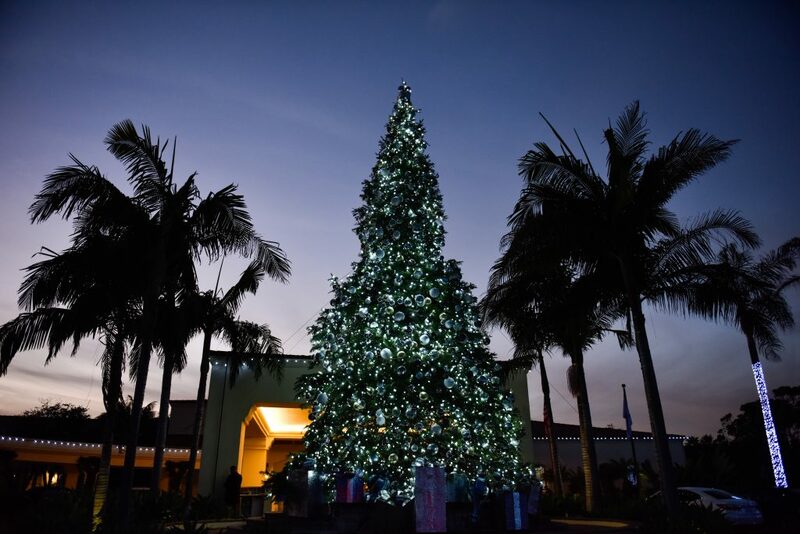 After 4, get your cameras cued as the annual tree lighting takes place. Santa is rumored to be on site for the occasion, accepting your donation of new, unwrapped toys or canned goods to deliver to Orange County Rescue Mission. Both events are free and open to the public. One Ritz-Carlton Dr., (949) 240-2000; www.ritzcarlton.com. Gretta and her Jewels. Photo courtesy Teatro Martini. Due to the increased demand for their interactive dinner theatre, Teatro Martini is now launching Sunday evening suppers beginning this weekend! To celebrate, they’re offering a special time and discount for our readers. 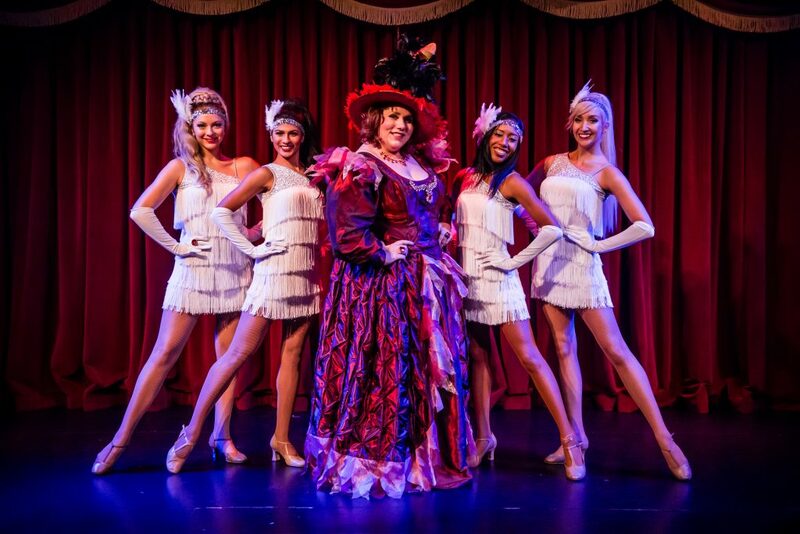 For the deeply discounted price of $29.95, experience a lively, adults-only revue that includes a multi-course meal. Use code TMOCW18 when calling, keeping in mind tax and any other applicable fees (including upgrades) will cost extra. This week’s showtime is 7:30, but future Sundays will kick-off at 7 p.m. Your discount code is good through March of next year, so start planning that girls’ night out or hot date. Those easily offended need not attend, so we’ll see you all there! 7600 Beach Blvd. (844) 249-7865; www.teatromartini.com. Savory or sweet? Photo courtesy Salt & Straw. A month ago we treated you to a preview of the new ice creamery at Downtown Disney. 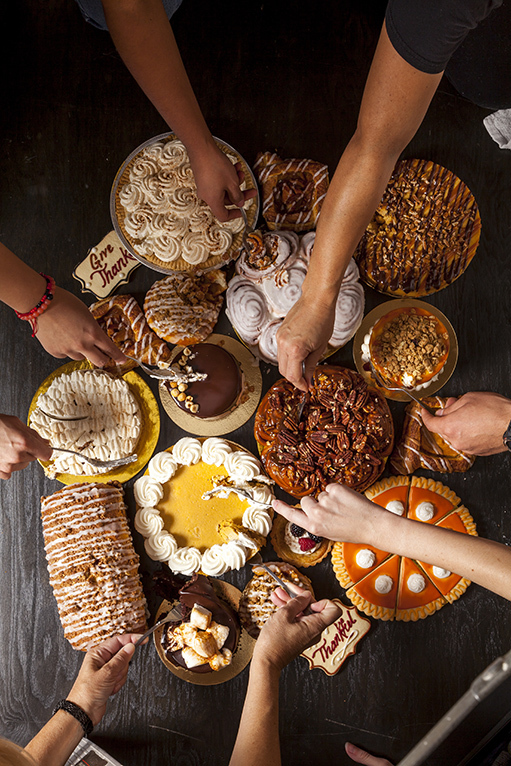 This month, they mix the sweet with savory, taking your notion of turkey day and turning it sideways. 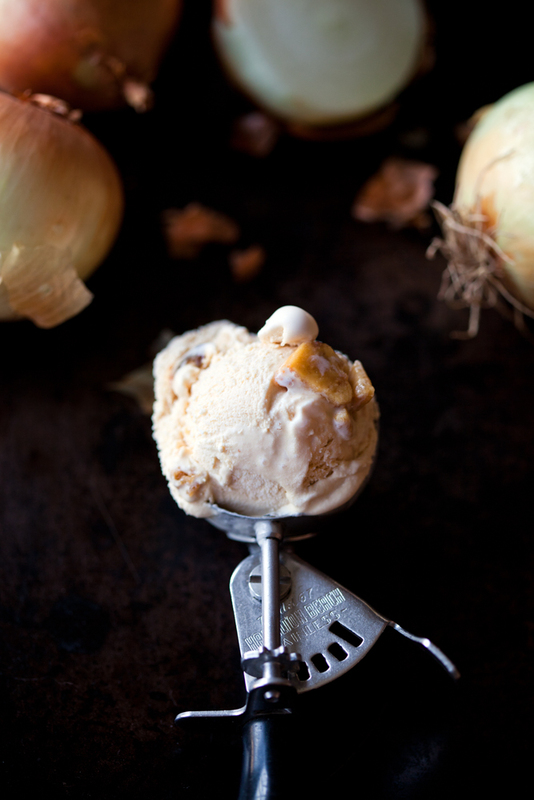 Scooping through November 23, check out the tasty trio of Spiced Goat Cheese & Pumpkin Pie, Salted Caramel Thanksgiving Turkey (This one makes us nervous.) and Roasted Peach & Sage Cornbread Stuffing. You can also pick up to-go pints or order via Postmates. Orange County Food Bank will also benefit, with one dollar being donated for every pint purchased. 1550 Disneyland Dr., E-103A, (714) 855-4321; www.saltandstraw.com. Delicious things come in small packages. Photo courtesy A Restaurant. High-rollers and those seeking to impress should book a dinner res along PCH, as Chef Jonathan Blackford’s menu now includes caviar service through the end of 2018. 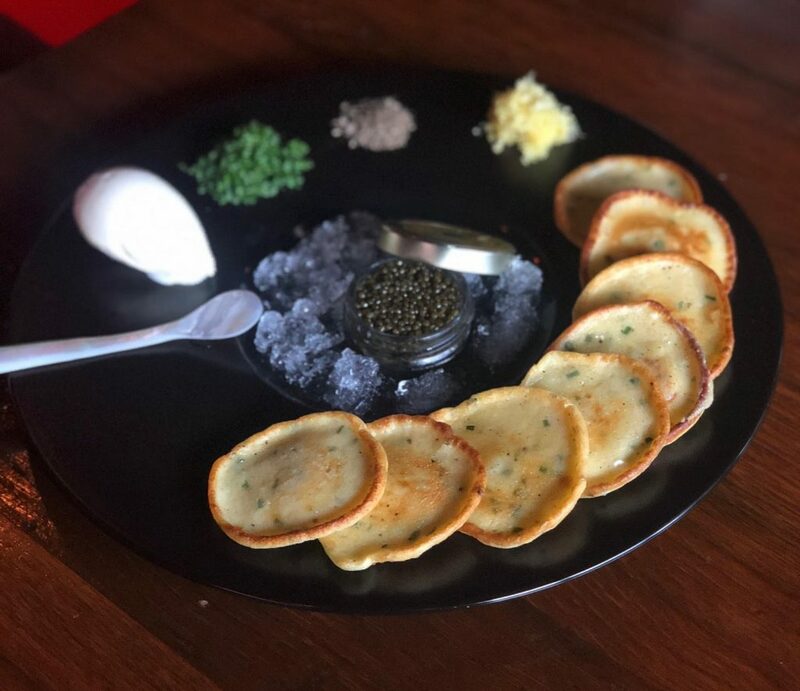 As if his future CdM restaurant isn’t enough to think about, the kitchen will be churning out made-to-order blinis for your Imperial Kaluga (China), Imperial Sologne (France) and Golden Osetra (Russia) needs. Traditional accompaniments such as creme fraiche and chives are served alongside. Get cozy in their dining room and order a proper cocktail to sip with all the salty goodness. 3334 W. Coast Hwy., (949) 650-6505; www.arestaurantnb.com.